Want big arms? Sometimes it's as much about what you avoid in the weight room as what you focus on. To grow massive biceps and defined triceps, avoid these four doomed arm strategies! Almost everyone who starts lifting does so because they want big arms. From blood flow restriction to increased time under tension, iron athletes will go to almost any length to make big arms a reality. I appreciate the excitement and commitment, but you should know training arms isn't just what you do—it's also about what you don't do. Some of these doomed strategies apply to other muscle groups, but you see them most frequently with arms. If you're guilty of any of these common arm mistakes, cease and desist immediately! With arms, the temptation is strong to satisfy the ego by doing more weight for the max reps possible. This means that you put a little more swing into your curls while adding some body English to your cable push-downs. There are two problems here. First, you risk injury by forcing your muscles to lift a weight that is heavier than they can handle with good form. Second, other muscles that have no business lifting the weight are going to try to join the party, which again compounds your risk of injury. While there's nothing wrong with trying to get a last rep or two by cheating a little, the bottom line is this: If you can't lift the weight without using momentum from the get-go, it's too heavy. Period. Start with a lighter weight at a slower tempo to keep tension on your muscles and build real size and strength. I have no issue with occasionally maxing out on moves like the barbell curls and close-grip bench. And, yes, a stronger muscle can be a bigger muscle. That said, there is little point in doing a triple with cable curls, and there is no powerlifting division for the single-arm push-down. So why train arms for max strength? Low reps and heavy weight mean less time to pump blood into the muscles, and for muscles to grow, they need nutrients—the whole point of chasing the pump in the first place. If you want to build arms, keep your reps at no fewer than 6, and 8-12 is better. 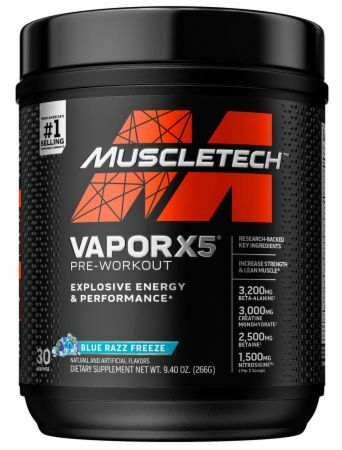 This range is ideal for breaking down muscle fibers and giving you a great pump to help your arms grow. I know they say basics are best, and that certainly holds true for beginners. As you advance in your training, however, add variety to your arm workouts. Maximizing your potential means stepping out of your comfort zone and trying moves you're not as familiar with and your muscles have not adapted to yet. 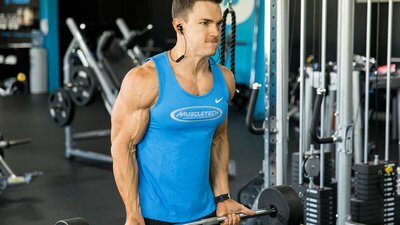 Like incline curls? Roll over on that bench and start trying spider curls. Fan of lying extensions? Give the seated version a shot. If you're stuck and just can't think of any new workouts to grow your arms, check out our exercise database for new exercise ideas to keep your training program interesting and take your arms from good to great. When it comes to arm training, motivation typically isn't an issue. Focus, on the other hand, can be and normally is. All too often lifters think more about counting the reps than making the reps count. It's simple to count, "1, 2, 3," and so on, but that's not why you're lifting the weight. Next time you train arms, don't do 1 set of 10 reps—do 10 mini sets of 1 apiece. Focus on every rep. Squeeze your muscle, feel it contract, perform a slow negative, and feel the stretch. Give each rep your full attention—it's the only way to train if you want to turn the guns into cannons.